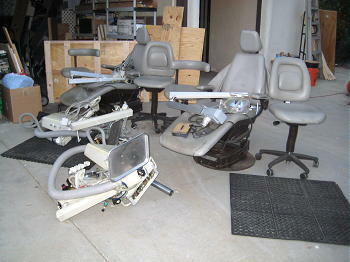 Dr. Andrew Benedetto in Palmdale, California, donated two dentist’s chairs in excellent condition with their related equipment to LifeNets. We decided to send them to El Salvador where we had already helped establish a practice in 2001 run by some of our early scholarship students. Larry Greider of Los Angeles helped coordinate; Ward Opichka in Glendale crated the chairs and Doug Maidwell in Toronto, Ontario, shipped them. They arrived safe and sound in El Salvador in September. You may see some of our earlier stories about helping with dental students in El Salvador at http://www.lifenets.org/centralamerica2001/dental.htm. Our biggest problem with large in-kind donations is shipping. 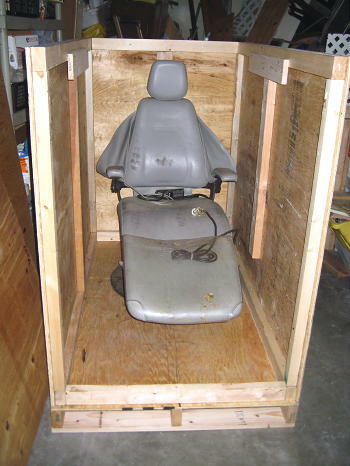 The equipment has to be properly crated and then shipped--with significant customs and duty issues to overcome. I was introduced to the project by my pastor, Mr.Larry Greider. His dentist, Dr.Andrew Benedetto, wanted to donate 2 dentist chairs with their related equipment to someone who could put them to good use. Mr. Greider asked me if I would be willing to build crates for this equipment so it could be shipped to El Salavador through LifeNets. We arranged for Dr. Benedetto to deliver the equipment to my shop in Glendale, California. 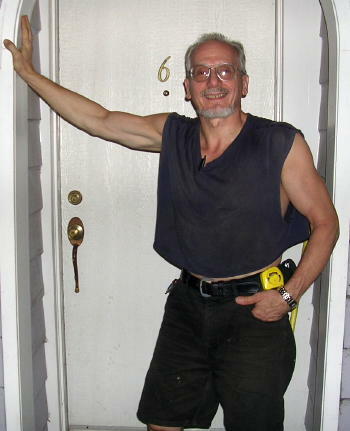 Through Mr. Kubik I was put in contact with the shipper, Mr. Douglas Maidwell in Toronto,Canada. I took measurements and estimates for size and weights and forwarded this information to Mr. Maidwell so he could arrange for a shipping company to pick up the equipment once the crating was finished. I built 2 crates, one for each dentist chair and it's related equipment. I was concerned to build them sufficiently sturdy to handle the considerable weight, since I estimated each crate about 500 lbs. or 225 kg. I very much enjoyed working with this project, knowing this equipment would be used to benefit the lives of many people. Good day to you, my name is Raul Ramirez, and I am one of the persons benefitting from the dental equipment you sent to us. 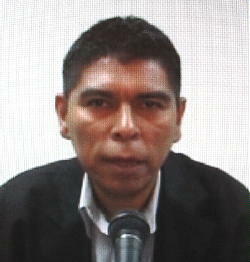 I want to thank you for this gift that has been a great blessing for all the brethren in El Salvador. Believe me, it will of great benefit to all in the congregation that have dental needs. The dental equipment arrived in perfect order. We are looking into the possibility of installing the equipment in a new office. In the name of the congregation and me, thank you very much for everything. 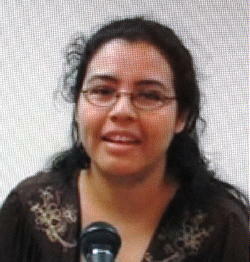 My name is Veronica Ruiz, and I am one of the dentists in the Church in El Salvador. I want to thank you for the dental equipment and auxiliary material since they are very expensive and hard to come by here, and especially under the difficult economic situation. We again thank you for all of this. We hope to install it soon and begin using it to help the community and Church members.